Currently working on the ENOVAL project. Completed (July 2016) Ph.D at the University of Cambridge. Volunteered on the Warwick in Africa programme five times (in Ghana, South Africa & Tanzania). Completed MMath at the University of Warwick in 2012. One of the key noisy components in an aircraft is the jet engine, although there are many sources of noise. 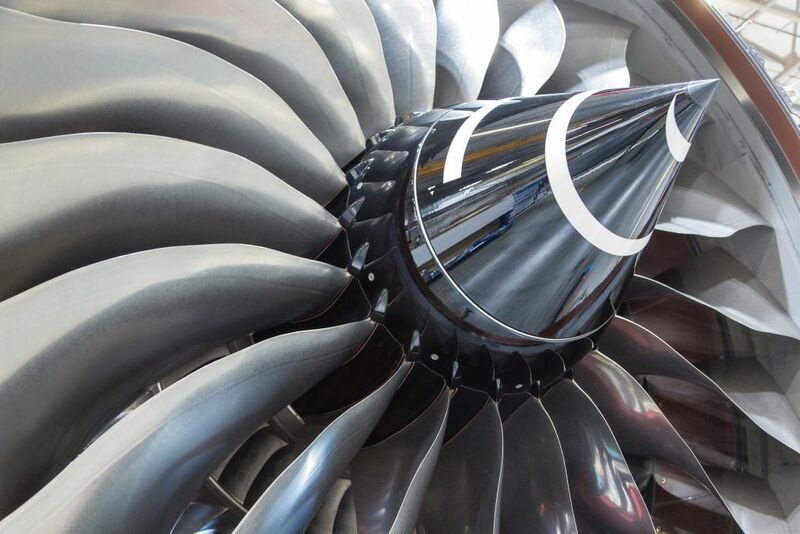 Building and designing a jet engine costs millions of pounds and furthermore to prove the engine is safe they have to be tested to destruction. 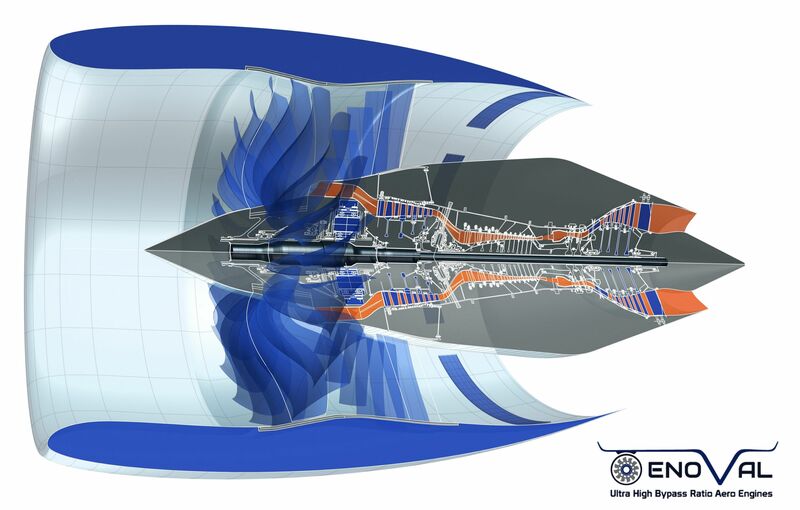 Engineers and mathematicians are employed to design engines that will not only be quieter but will be more fuel efficient and produce fewer harmful emissions. Reducing aircraft noise will require the development of many new technologies as well as radical designs. 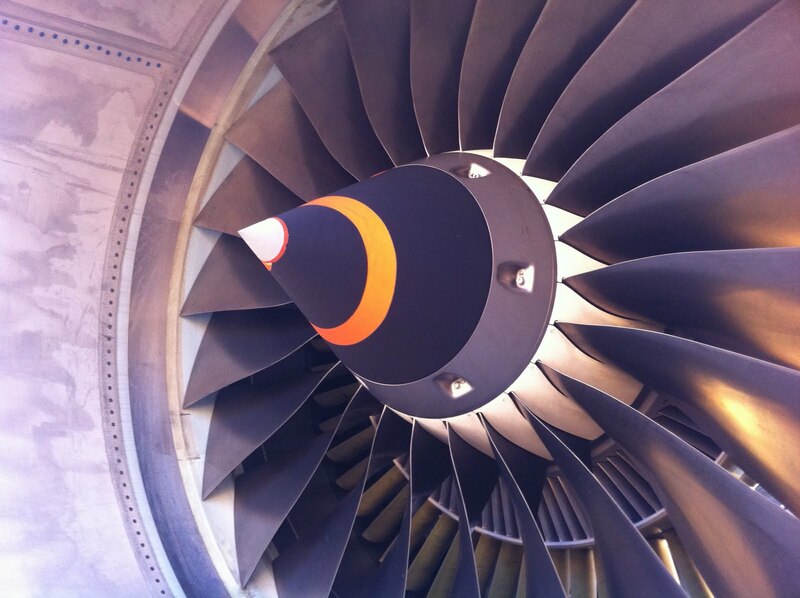 My research focuses on understanding the noise caused by the rotating fan in a current aircraft engine. I calculate the pressure in a model of a jet engine by solving a differential equation, obtained by rearranging the Euler equations. The solution of this differential equation can then be combined with real noise measurements to find the components which contribute the highest level of noise. Modal cut-on ratio in ducts with realistic flow profiles and its application to acoustic mode detection J. R. Mathews, J. Chen, P. Joseph, Journal of Sound and Vibration, 2018 Unofficial. Official. The modified Myers boundary condition for swirling flow, J. R. Mathews, V. Masson, S. Moreau and H. Posson, Journal of Fluid Mechanics, 2018 : Unofficial. Official. 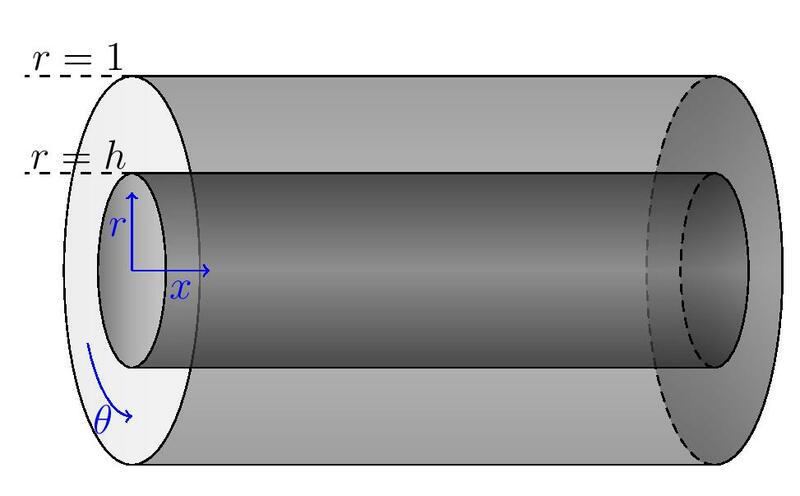 The impedance boundary condition for acoustics in swirling ducted flow, V. Masson, J. R. Mathews, S. Moreau, H. Posson and E. J. Brambley, Journal of Fluid Mechanics, 2018 Unofficial. Official. An analytically-based method for predicting the noise generated by the interaction between turbulence and a serrated leading edge, J. R. Mathews and N. Peake, Journal of Sound and Vibration, 2018 Unofficial. Official. The acoustic Green's function for swirling flow with variable entropy in a lined duct, J. R. Mathews and N. Peake, Journal of Sound and Vibration, 2018 : Unofficial. Official. The acoustic Green's function for swirling flow in a lined duct, J. R. Mathews and N. Peake, Journal of Sound and Vibration, 2017 : Unofficial. Official. Mathematical modelling of noise generation in turbofan aeroengines using Green's functions (July 2016) : Thesis. The modified Myers boundary condition for swirling flow (Mathews, Masson, Moreau & Posson, AIAA Conference, Denver, 2017): Unoffical. Official. Liner behavior in an annular duct with swirling and sheared mean flow (Masson, Mathews, Posson, Sanjose & Moreau, AIAA Conference, Denver, 2017): Unofficial. Official. Eigenmodes and Green's function of swirling flow in a duct with the lining varying circumferentially (Mathews & Peake, AIAA Conference, Denver, 2017): Unofficial. Official. Asymptotic and numerical Green's function in a lined duct with realistic shear and swirl (Mathews, Peake & Bianchi, AIAA Conference, Lyon, 2016): Unofficial. Official. Noise generation by turbulence interacting with an aerofoil with a serrated leading edge (Mathews & Peake, AIAA Conference, Dallas, 2015): Unofficial. Official. Acoustic propagation for realistic swirling isentropic flow in a slowly varying duct (Mathews & Peake, 2018): Preprint. Second CCA mini-project (supervised by Prof. Nigel Peake, Cambridge): Report. First CCA mini-project (supervised by Dr. John Etgen, BP): Report. Master's Thesis (supervised by Dr. Bjorn Stinner, Warwick): Report. 21st CEAS-ASC Workshop : "Eigenmodes in swirling flow in an annular duct - recent developments", Trinity College, Dublin, September 2017. 23rd AIAA/CEAS Aeroacoustics conference : "The modified Myers boundary condition for swirling flow", Denver, June 2017. 23rd AIAA/CEAS Aeroacoustics conference : "Eigenmodes and Green's function of swirling flow in a duct with the lining varying circumferentially", Denver, June 2017. 22nd AIAA/CEAS Aeroacoustics conference : "Asymptotic and numerical Green's function in a lined duct with realistic shear and swirl", Lyon, May 2016. ISVR seminar (invited) : "Analytical and numerical Green's functions in an aeroengine", Southampton, February 2016. Osborne Reynolds Student Day : "Noise generation by turbulence interacting with an aerofoil with a serrated leading edge", Manchester, July 2015. 21st AIAA/CEAS Aeroacoustics conference : "Noise generation by turbulence interacting with an aerofoil with a serrated leading edge", Dallas, June 2015. BMC/BAMC Conference : "Noise generation by turbulence interacting with an aerofoil with a serrated leading edge", Cambridge, April 2015. Member of the waves research group (left). "Flight Efficiency in European Airspace" (Winsland Consulting), EGSI107. Video 1. Video 2. Video 3. Presentation. "Gabor Filter Selection and Computational Processing for Emotion Recognition" (CrowdEmotion), EGSI100. Joint report. "Efficient airline boarding strategies on the Airbus A380", OCCAM Graduate Modelling Camp. Joint report. STEP Marker and previously involved in STEP correspondence course. 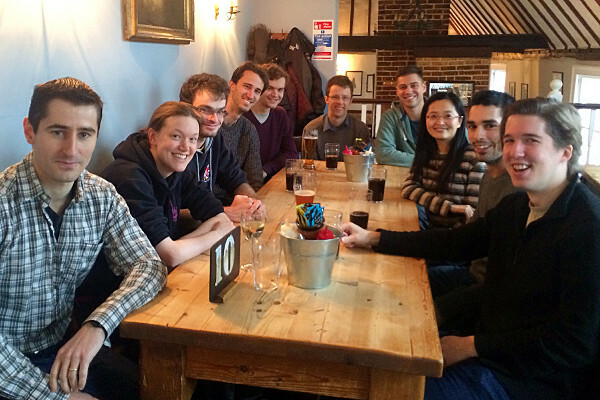 Former industry liaison for SIAM Cambridge Student Chapter. Member of SIAM and IMA. Copyright © 2018 James Mathews. Based on SAVO CSS template. Image credits: Image 1 Image 2 & 3 Image 4. All other images Copyright © 2018 James Mathews.